Based on the influence of PostgreSQL database and the present status of China’s database technology, the PostgreSQL association was established under the COPU （China Open Source Software Promotion Union）subsidiary of Ministry of Industry and Information Technology. It is also supported by a number of leading enterprises in China, and aims to promote PostgreSQL technology development in nationalwide and enterprise applications. The PostgreSQL Association will be in charge of organizing various activities related to PostgreSQL promotion, such as technical training and book publishing and so on in China. 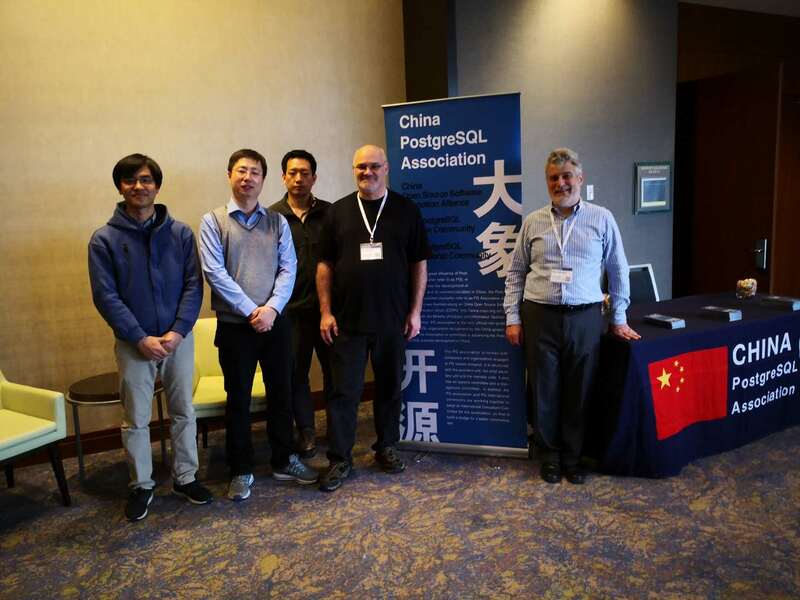 Meanwhile, the PostgreSQL Association will be the only official PostgreSQL organization accredited by the Chinese government and be recognized as cooperator communicates with the international community which are in the United States, Canada, Japan, etc. The China PostgreSQL Association International Consultant Committee is recruiting, all the PostgreSQL international community members and experts are welcomed to discuss the opportunity with us. We hope that through the establishment of an international consultant committee, we can strengthen the exchanges between the Chinese community and the international community, to jointly promote the global PostgreSQL businesses. Copyright © 2019 China OSS Promotion Union PostgreSQL All rights reserved.